1. Start with the potatoes. Peel and cut into large sticks. Trim the ends for a more square effect, like in the anime. 2. Place cut fries into cold water and let sit at LEAST two hours. You can let it sit overnight, if preferable. 3. 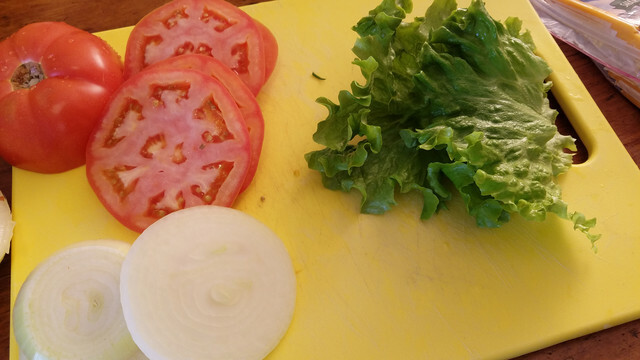 Prep veggies for the burgers- slice tomato and onion into 1/4 inch thick rounds. Tear off frilly part of lettuce. 4. 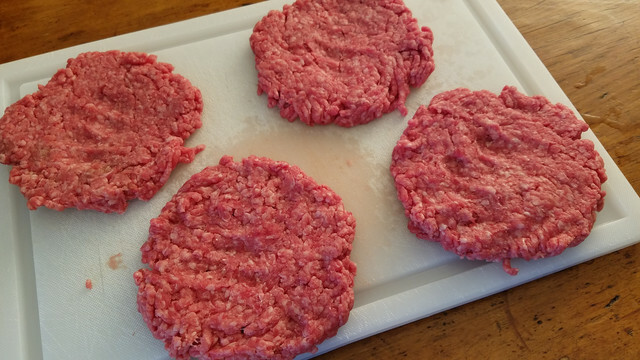 Form the meat patties- separate meat into 4 sections, and pat patties into circle. Push down to spread out the meat, but don’t over-work it. 5. Heat oil to 300 degrees Fahrenheit. 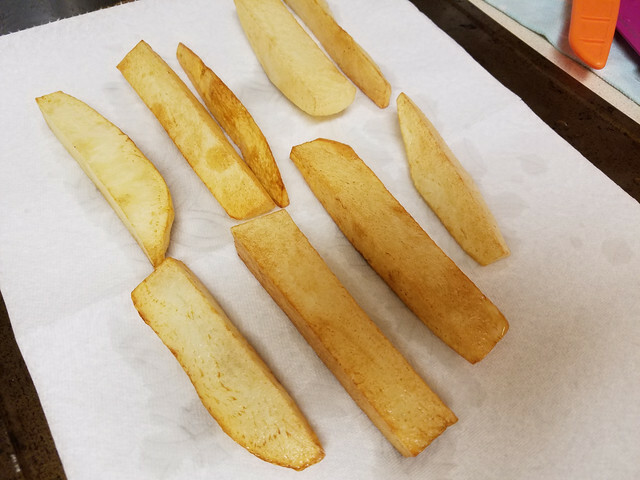 Pat french fries dry before placing in oil. Cook fries in batches- don’t crowd the pan. 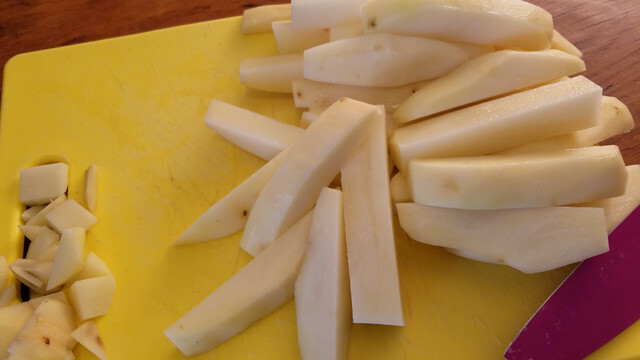 During the first fry, cook ~10-15 minutes or until potato is soft and fry is golden color. Drain in between frying. 6. Raise oil temperature to 400 degrees Fahrenheit. 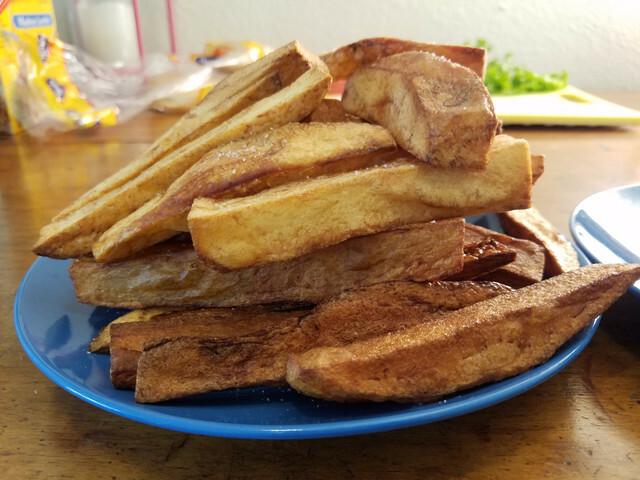 Fry the fries for a second time, at about 90 seconds per batch, or until nicely golden brown. This step is to make sure the outer layer of the fry is nice and crisp. Drain on paper towels, and salt. Set aside. 7. Set a pan over medium heat. Cook patties, about 3 minutes each side. 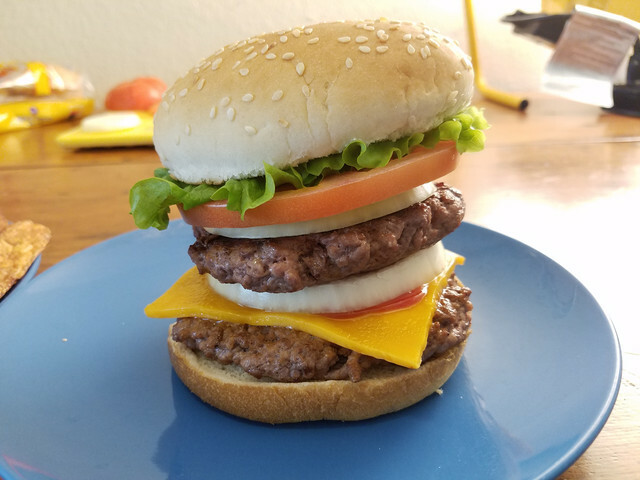 Melt cheese over the top if desired. 8. 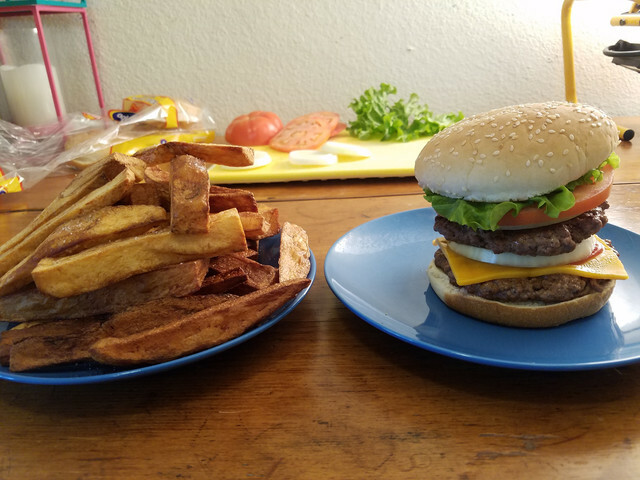 Assemble the burger and place the fries out. 9. And now it’s done! !